Making networked production easy with digital twins! Changeable production processes make it possible to respond quickly to changing markets and thus ensure a company’s long-term competitiveness. Digital twins play an important role in this: They serve to network and digitalize manufacturing processes. We create such digital twins with the middleware BaSys 4.0. In the eponymous project, we are the leader of a consortium of project partners from industry and research who are developing an open-source middleware that implements administrative asset shells and digital twins and thereby enables manufacturer- and layer-independent networking of manufacturing plants, from the IT on the shop floor to the office floor. 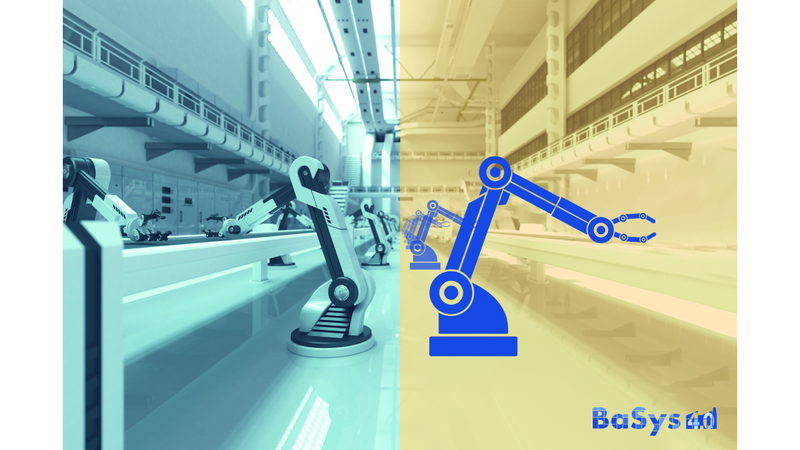 The use of the digital twins created with BaSys 4.0 ensures an exact overview of the current production at all times. Quality data are collected from various sources, and are then processed and made available to customers for further analysis. Optional service-based manufacturing is the realization of changeable production. Only BaSys 4.0 is capable of providing service-based manufacturing control in such a way that changeable production in the sense of Industrie 4.0 with batch size 1 can be realized. We as Fraunhofer IESE are introducing modern software architecture into manufacturing and are demonstrating how easy it is to integrate it with existing automation and control systems.